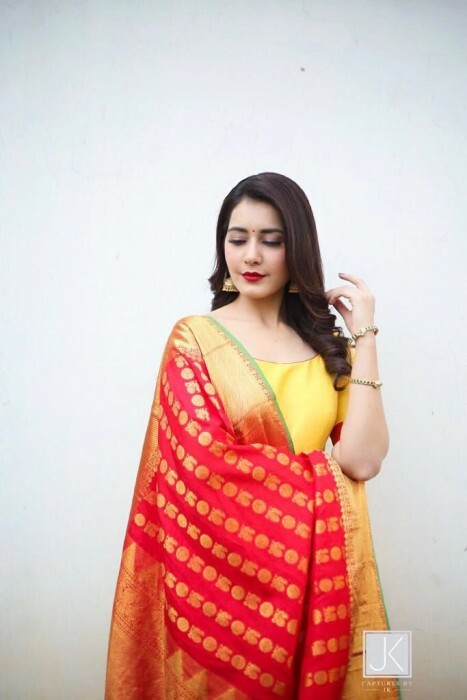 If you are a fan of the lovely Raashi Khanna, then get ready to rejoice as we have some awesome news for you. In an exciting development, the diva was spotted yesterday as she attended the launch of her film Srinivasa Kalyanam. And, as expected, she looked quite graceful in a lovely number. Her cute smile gelled quite well with the look and upped its recall value in a big way. That elegant body language too worked wonders for her look and added a new dimension to it. That is how you make an impact. She truly is a stunner! Interestingly, 2018 has been an eventful year for Raashi so far. She started off he year with Touch Chesi Chudu. An action-entertainer, it featured Ravi Teja in the role of a cop and opened to an okay response at the box office. While talking about the film, she had said that it would see her essay a quirky yet glamorous character. “In Touch Chesi Chudu, I play a glamorous role but it has a comic touch to it. I love comedy and the audience seem to receive me well in funny roles, like in Supreme. But the comic episodes between me and Ravi Teja are going to be “next level funny” and will leave the moviegoers in splits,” she had added. 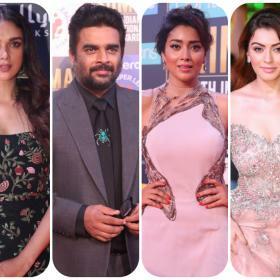 Thereafter, she was seen in Tholi Prema and received praise for her performance. Prior to its release, she had said that the romantic-drama would help her grow as an actor. At present, Raashi has Srinivasa Kalyanam and Adhanga Maru in her kitty.